Dallas, TX (Sep. 19, 2018) – Cameron Mackintosh’s spectacular new production of Andrew Lloyd Webber’s THE PHANTOM OF THE OPERA, is now on sale for the triumphant return Dallas engagement at the Music Hall at Fair Park. With newly reinvented staging and stunning scenic design, this new version of PHANTOM is performed by a cast and orchestra of 52, making this one of the largest productions on tour in North America. 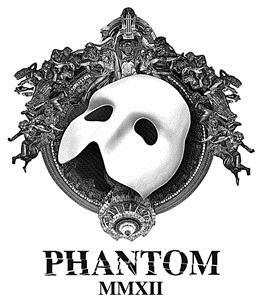 PHANTOM comes to Dallas as part of the Dallas Summer Musicals (DSM) and Broadway Across America (BAA) Broadway season. Single tickets for PHANTOM start at $26 (pricing subject to change) and are available at DallasSummerMusicals.org or by phone at 1 (800) 745-3000. They can also be purchased in person at the Music Hall at Fair Park Box Office Monday through Friday from 10 a.m. to 6 p.m. and Saturday from 10 a.m. to 4 p.m. Orders for groups of ten (10) or more may be placed by calling (214) 426-4768 or emailing Groups@DallasSummerMusicals.org. Coming next to Dallas Summer Musicals is Elf. This modern day Christmas classic returns to the Music Hall at Fair Park November 27 – December 7, 2018. Single tickets for Elf start at $20 (pricing subject to change) and are on sale at DallasSummerMusicals.org or by phone at 1 (800) 745-3000. They can also be purchased in person at the Music Hall at Fair Park Box Office Monday through Friday from 10 a.m. to 6 p.m. and Saturday from 10 a.m. to 4 p.m. Orders for groups of ten (10) or more may be placed by calling (214) 426-4768 or emailing Groups@DallasSummerMusicals.org.